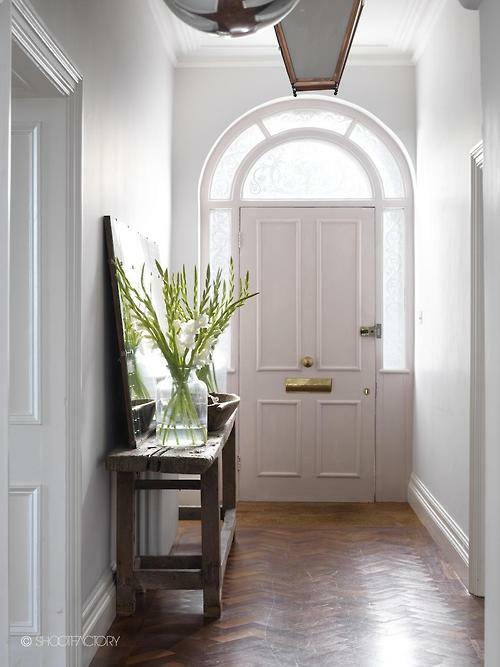 Do you have a narrow hallway which needs some character? Perhaps also, you need to add some light into some otherwise quite dull entrances? In this week’s Weekly Design Solution, we have just the inspiration for you – whatever your hallway or entrance problems, we’re positive that you will take some inspiration and ideas away from this post. Light walls are a must for lighting up any narrow, dull and worn areas of the house – regardless of size. For a hallway, a narrow simple sideboard can work wonders – this gem can hold all your clutter, and act as a surface for some flowers, which adds brightness and positive energy to the space – even your visitors will appreciate the splash of colour! 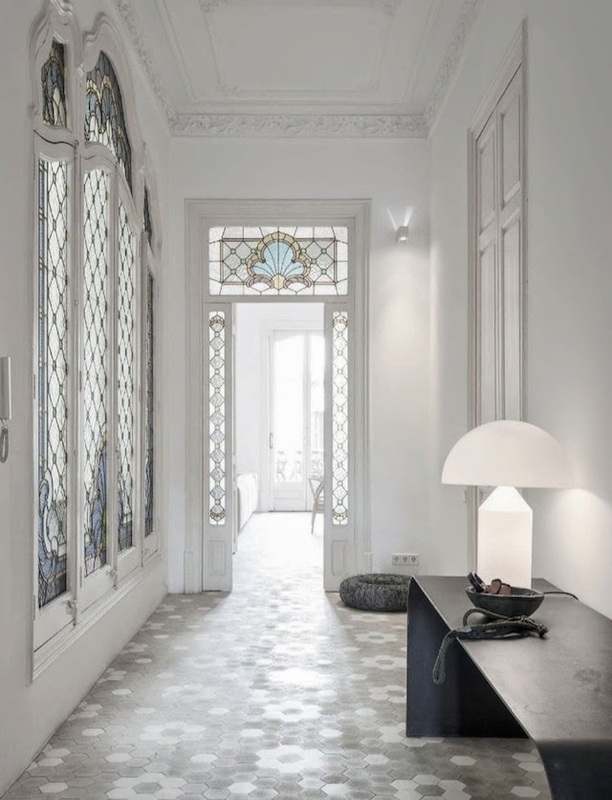 Mirrors are another important feature to consider in your hallway … Along with plain, light walls, the reflection of natural light will bounce through the thin linear space and help to light up the rest of the house. 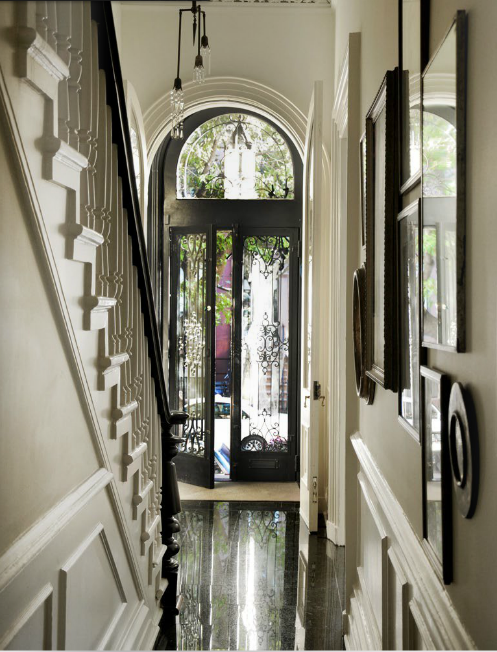 For slightly larger / wider hallways, you can begin to be a little more creative with features and accents. For example, a rug can be a homely touch – you can find some lovely modern patterns – or add a focal stool further on. Going back to much thinner hallways, you can add feature photo frames, which can be a lovely addition to an otherwise quite plain wall – family photographs of successes, Christmases and Birthdays, if arranged correctly, it can be quite special. Enjoy this week’s Design Solution? Like our post and tell your friends all about our new weekly and daily posts, or why not tell us in a comment below? Is there anything discussed this week which you would perhaps like to hear more about but in more detail? If so, please let us know below in a comment. This entry was posted in Interiors, Residential, Traditional, Weekly Design Solution and tagged Architects, Architecture, Art, Contemporary, Contemporary Design, Decor, Design, Design Solution, Entrances, Hallways, Home Decor, Inspiration, Inspirational, Interior Architecture, Light, Lighting, Modern, Modern Design, Space, Spatial Awareness, Weekly, Weekly Design Solution.